Viva Laughlin is an American musical comedy-drama series adapted by Bob Lowry and Peter Bowker (creator of the original series) from the popular BBC British serial, Blackpool, and taking its name from the latter program's sequel, Viva Blackpool. 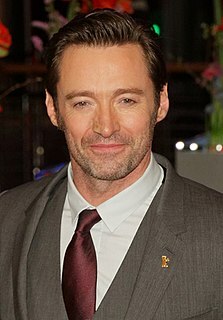 Lowry and Bowker also served as executive producers alongside Hugh Jackman, John Palermo, Paul Telegdy, and Gabriele Muccino. The latter also directed the pilot. It was filmed on location in part at the Morongo Casino Resort & Spa in Cabazon, California for most of the inside casino shots. 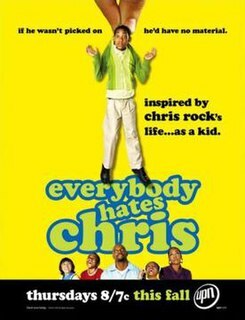 Produced by BBC Worldwide, CBS Paramount Network Television, Sony Pictures Television, and Seed Productions, the series was greenlit and given a thirteen-episode order on May 14, 2007. Excerpts from the series were aired in subsequent previews throughout the CBS telecast of the 61st Annual Tony Awards on June 10, 2007. CBS aired a preview of the pilot on October 18, 2007 following an episode of CSI: Crime Scene Investigation before broadcasting its official season premiere on October 21, 2007 in its regular timeslot on Sunday nights at 8:00/7:00c, following 60 Minutes. CBS cancelled Viva Laughlin on October 22, 2007 after airing two episodes, with the Nine Network (in Jackman's home country of Australia) following suit the next day by canceling the show after airing only one episode. Both CBS and Nine filled the show's time slot with repeat episodes of CSI, with The Amazing Race then taking Viva Laughlin's place on CBS on November 4. There are still no plans to air the remaining episodes. Viva Laughlin is a teen flick about businessman Ripley Holden, whose ambition is to run a casino in Laughlin, Nevada. It occasionally has the actors break into contemporary song. Ripley has invested all his money into opening a casino that is nowhere near completion, when his financing suddenly falls through. Needing an investor, Ripley approaches his rival, wealthy casino owner Nicky Fontana; but Fontana wants to own the casino himself, and Ripley turns down the deal. Ripley becomes embroiled by a murderer investigating his ex-business partner found at his casino. Critical reaction to the show was mostly negative. The musical numbers themselves were not criticized as much as the plot, the dialogue and the acting. The opening line of The New York Times review said, "Viva Laughlin on CBS may well be the worst new show of the season, but is it the worst show in the history of television?" Newsday's review started with, "The stud is a dud. And that's only the first of a dozen problems with CBS' admirably ambitious but jaw-droppingly wrongheaded new musical/murder mystery/family drama Viva Laughlin. Let us count the ways it bombs..."
A few days after its cancellation, a clip of Viva Laughlin was featured on The Soup. The show's host Joel McHale described it as "the show that was loved by hundreds". McHale also sarcastically remarked that "we need that" for easy jokes. Hull High, a 1990 NBC "musical soap opera"
^ a b c "Viva Laughlin at The Futon Critic". Retrieved 2006-06-26. ^ Sullivan, Brian Ford (2007-05-14). "CBS picks up Bang, Power, plus four dramas". Retrieved 2007-06-26. ^ "CBS to use The American Theatre Wing's 61st Annual Tony Awards" to showcase multiple promos for Viva Laughlin, a new drama premiering in the fall, executive produced by Tony Award and Emmy Award winner Hugh Jackman". The Futon Critic. 2007-06-07. ^ Andreeva, Nellie (2007-07-18). "CBS announces premiere week lineup". Archived from the original on 2007-08-20. Retrieved 2007-07-19. ^ "CBS announces 2007-2008 primetime schedule". The Futon Critic. 2007-05-16. Retrieved 2007-06-26. ^ a b "Hugh Jackman's show Viva Laughlin dumped by Channel Nine". The Daily Telegraph. 2007-10-23. Archived from the original on 2007-10-25. Retrieved 2007-10-29. ^ a b "Back from the dud". The Sydney Morning Herald. 2007-10-25. Retrieved 2007-10-29. ^ Schneider, Michael (2007-10-22). "CBS cancels Viva Laughlin". Variety. Retrieved 2007-10-22. ^ "Takin' Care of Business". The Futon Critic. Retrieved March 12, 2016. ^ "Viva Laughlin 1x05: Bad Moon Rising" (in German). Serien Junkies. Retrieved March 12, 2016. ^ "Viva Laughlin – Episode 1.06 – Need You Tonight". SpoilerTV. Retrieved March 12, 2016. ^ a b c "Viva Laughlin". TV Series Finale. Retrieved March 12, 2016. ^ "Viva Laughlin 1x07: Fighter" (in German). Serien Junkies. Retrieved March 12, 2016. ^ Alessandro Stanley (2007-10-18). "Singing in the Casino? That's a Gamble". New York Times. Retrieved 2007-10-24. ^ Diane Werts (2007-10-18). "Review: CBS' Viva Laughlin a train wreck". Newsday. Archived from the original on 2007-10-20. Retrieved 2007-10-30. Boston Public is an American drama television series created by David E. Kelley and broadcast on Fox. Set in Boston, the series centers on Winslow High School, a fictional public high school in the Boston Public Schools district. It features a large ensemble cast and focuses on the work and private lives of the various teachers, students, and administrators at the school. It aired from October 2000 to January 2004. Its slogan was "Every day is a fight. For respect. For dignity. For sanity." Blackpool is a British television musical comedy drama serial, produced in-house by the BBC. It was screened on BBC One as six one-hour episodes on Thursday nights at 9pm from 11 November to 16 December 2004. When retransmitted by BBC America in 2005, it was renamed Viva Blackpool, and went on to win a Peabody Award for BBC Worldwide, the commercial overseas distribution subsidiary of the BBC. A sequel in the form of a TV movie was produced by the BBC, also called Viva Blackpool in the UK (2006). Samantha Who? is an American television sitcom that originally aired on ABC from October 15, 2007 to July 23, 2009. The series was created by Cecelia Ahern and Don Todd, who also served as producers. Although highly rated during its first season, the sitcom lost momentum and viewers throughout its second season, and ABC canceled the show in May 2009. Cane is an American television drama created by Cynthia Cidre, who also served as executive producer alongside Jonathan Prince, Jimmy Iovine, and Polly Anthony. The pilot was directed by Christian Duguay. The show chronicled the lives and internal power struggles of a powerful and wealthy Cuban-American family running an immensely successful rum and sugarcane business in South Florida. ¡Q'Viva! The Chosen is an American reality television series. It premiered on January 28, 2012 in the United States in its Spanish-language version on Univision with a one-hour premiere and the first season concluded on April 28, 2012. It made its United States English language debut on FOX on March 3, 2012. ¡Q'Viva! The Chosen Live was the live stage show that was held in Las Vegas on May 26, 2012 as a culmination of the series. Beyond is an American science fiction drama television series created by Adam Nussdorf that premiered on Freeform on January 1, 2017. The series stars Burkely Duffield, Dilan Gwyn, Jeff Pierre, Jonathan Whitesell, Michael McGrady, and Romy Rosemont. On January 10, 2017, Freeform renewed the series for a 10-episode second season, which premiered on January 18, 2018, and finished on March 22, 2018. On March 29, 2018, Freeform announced they had cancelled the series after two seasons.